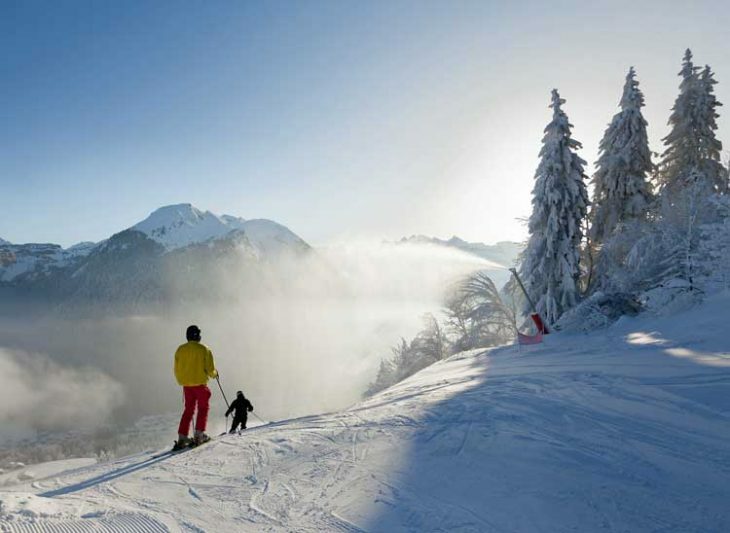 Morzine is well known for its ski areas which make it a perfect destination for winter holidays. The small French town also overflows with all kinds of other activities and tourist sites. Situated far from the hustle and bustle of the big towns, Morzine lets its visitors connect pleasantly with the natural world. That is certainly why more and more tourists from all over the world choose every year to pay visit to this perfect snowy part of the globe. And once there, they are always spoilt of choice in matter of accommodation. Nested at the foot of the greatest European winter sports resorts which are called Les Portes du Soleil, Morzine is a quiet French village of the Alpes. It has become a huge economic machine of winter sports since decades and during the season, shops selling ski items and skisuits can be seen on every street corner. Despite the higher volume of winter tourists, Morzine always knows how to preserve the rare charm of its snow-clad chalets and the warmth of its local restaurants where cheese is king. On the valley floor, going for a walk along the river is a nice alternative for the less sporty. Ice rinks are also very popular with Hockey fans and family leisure. In summer, the 650km ski run of the areas turns into the mountain bikers and hikers’ playground. Forests, peaks and pastures sketch the alluring beauty of the landscapes, a beauty that reflects wonderfully on the lakes along the paths. Staying in a chalet during the holidays in Morzine? As the small town becomes more and more appreciated by the tourists, hospitality industry professionals are constantly proposing new holiday rentals. And as the region abounds with mountains and snow, luxury chalets remain popular. Besides, this type of accommodation grants the tenants more flexibility and freedom to organize their schedule. They can enjoy their stay in a spacious and well-equipped house that can welcome all the family. Generally, a normal Morzine cottage possesses at least two bedrooms, one for the parents and another one for the kids, bathrooms, a fully equipped kitchen, a dining table, a laundry room and a flat screen television. This means that they can travel light because doing a wash load at anytime is possible. And, most interestingly, renting a whole chalet is significantly cheaper than hotel rooms. Or maybe a holiday flat? There are also plenty of offers in matter of holiday flat for rent Morzine. Whether the holidaymaker comes with family, with friends or even alone, getting an apartment in the village can make the stay more enjoyable. As a matter of fact, renting a furnished flat allows them to spend their holiday more freely; they can cook for their own, do their laundry and stay quietly far from the rest of the world. They can come and go as they like and feel easily home. Just like for a chalet, this option is more affordable than taking some hotel rooms whether it is just for a weekend or a longer ski holiday. Morzine is fun in the summer too. What are your thought about winter holiday in Morzine? Please share in the comments below, on Twitter, Facebook , Instagram or Google+ . Amazing article. 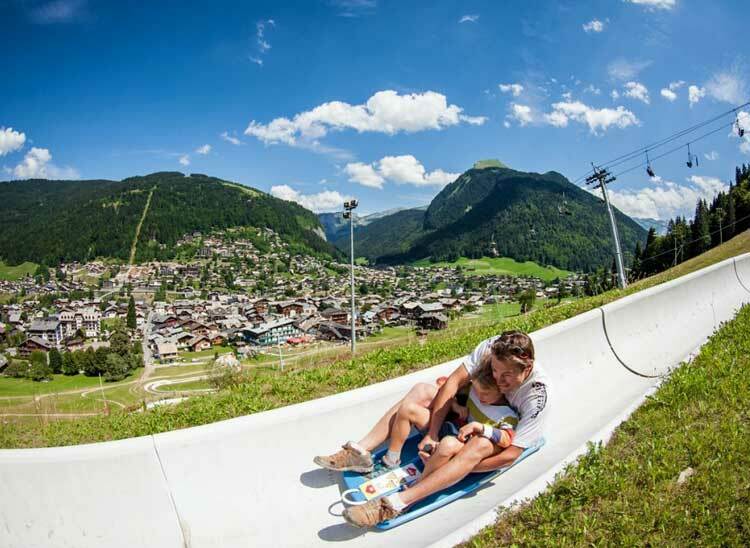 Thanks for sharing this info for “morzine in summer” in such a detailed manner.